ORGANUM HISTRIAE (ex- ORGAN MUSIC DAYS IN ISTRIA) is a long-term intersectional project with the main objective of preserving, renovating and restoring the organs and organ music in Istria and an already established tendency to propagate into the areas of Slovenia and northern Italy, rich in this “heritage to listen to” and of similar historical-artistical tradition. 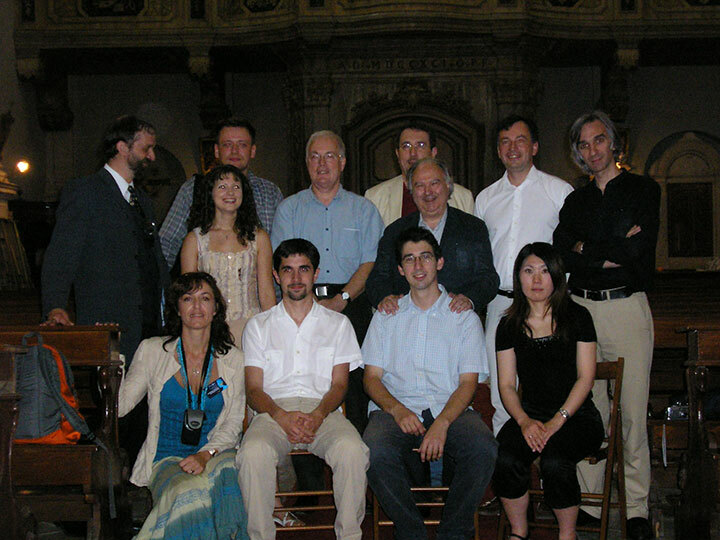 ORGANUM HISTRIAE was born in 1998 with the intent of developing into and establishing itself not only as an appraised International Festival of organ music, but also as a place to acquire and exchange knowledge, a place of research, evaluation, a place to advocate renovation and restoration and show to the world the precious organ heritage lying unjustifiably forgotten and cast aside in the majority of Istrian churches. 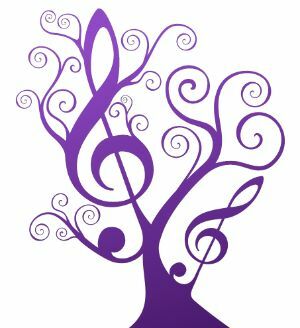 The official organizer of this project (Lifestyle d.o.o.Umag) has set a challenging and much demanding, but yet , reachable, goal: RESTORE THE ORGAN TO ITS THRONE OF THE KING OF ALL THE MUSICAL INSTRUMENTS AND REINTERPRET IT IN THE PRESENT TIME. It is a fact that the organ represents today a unique symbol of European thought, life and history. A view of a unified Europe may be percieved in the development of organist and organ artistry, making a contribution, in a multitude of former small states, to the diffusion of exchange among artists within Europe. Surpassing local boundary lines for centuries, organ art has created regional connections contributing to the economic prosperity and cultural development. The organ had and still has an indigenous place in the everyday life of a community in ordinary days, during festivities, in times of hardship and in good times, during liturgical service and festivals, family celebrations and social gatherings. The organ is a cultural patrimony accessible to anyone, regardless of his social rank, our common European heritage to listen to! We are speaking here of a heritage that by its architectural-artistic and instrumental values incontestably stands witness of the organ-building tradition and of close links between eastern and western Adriatic coast; mainly through the exceptional work of Don Petar Nakić, founder of the Venetian-Dalmatian school of organ-building and his pupils; and of the correlation of this typically Mediterranean style instrument and the organ-building styles diffused in the hinterland. In the sphere of our project ORGANUM HISTRIAE we have instituted several principal initiative groups: revitalisation of the organ heritage (recitals, competitions), study of the organ heritage (research, professional excursions, student workshops, conventions), popularization of the organ heritage (publications, educational workshops and seminars, multimedia publications, guided tours), exhibiting initiatives (about organ-building traditions, art and design exhibitions and shows inspired by the organ, as well as souvenir displays of our own production). From this perspective, an indispensably important role in the foundation of a long-term working plan is played by a thoroughly worked out collaboration with our closest West-Adriatic neighbours, Slovenia and Italy, countries with a comparative and in most part, common “organ” history. 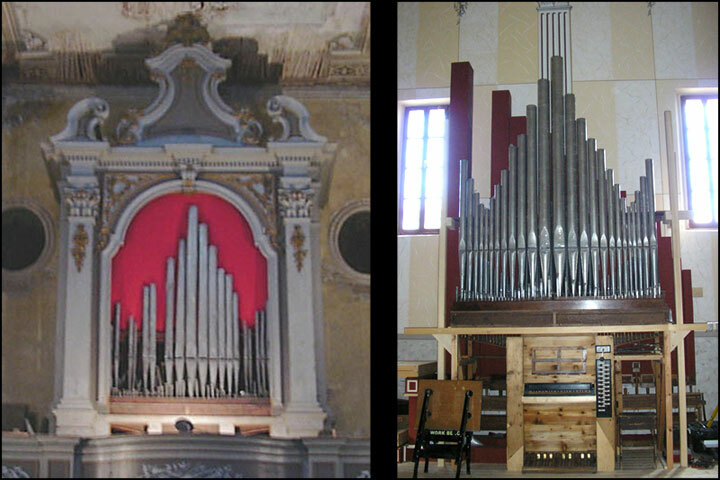 At the same time, through complementary cooperation in Croatia with the prominent ORGAN SUMMER SCHOOL in Šibenik, our intention is to sensitize the public specialized in this domain and the vast audience for the problems historical organs are presently encountering, and with joint appearance at the international level, arouse a faster flow of information and the revitalization of this outstanding segment of the Croatian cultural heritage. In the past years of work we succeeded in attracting considerable attention of Croatian, Slovene and partly Italian audience, but this does not yet suffice in order to improve the catastrophic state most of the ‘kings’ are in. The message we are trying to convey to the public is more to the point: if our intent is to preserve historical organs as king of all instruments, they need to be treated like one. In reality, even following the costly restoration work, it is crucial they get regular care and attention of an expert, both as concerns sound adjustment and artistic-architectural aspect. A great peril is concealed here: the activity of unexpertly and superficially “skilled” organ-builders desiring to “modernize” these noble instruments. Only if maintained by an expert, this musical symbol of Europe, played by well-trained fingers (and feet!) of distinguished musicians, will be able to produce magic sounds of exceptional expressiveness and sacredness, as one would expect. In this respect, we would like to awake the general public and by offering sponsorships to our esteemed partners, show them a different way to reach potential client, related to this innovative project of restoration of our cultural heritage neglected for long. 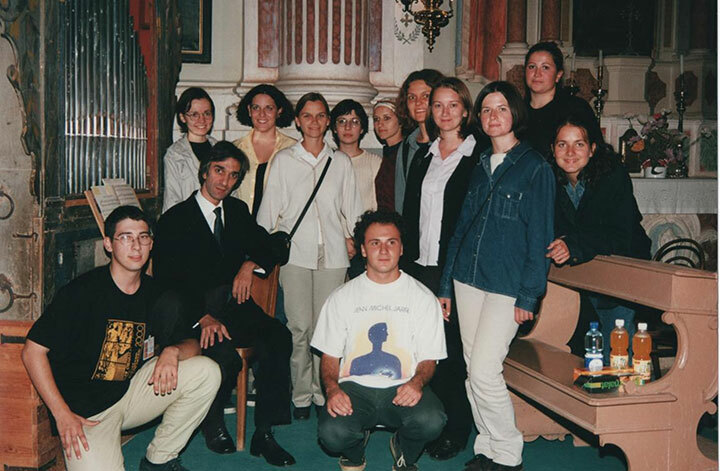 With our project entering into the thirteenth year of existence, we may look back and say we are satisfied with the actual results of our lobbying and arising care about the state of organ heritage in Istria (restoration of the organs in Buje and in Umag, finalization of restoration of the most badly damaged organ in Istria, located in the church of Motovun, commencement of the renovation project of the organ in Lovrečica and in Sv. 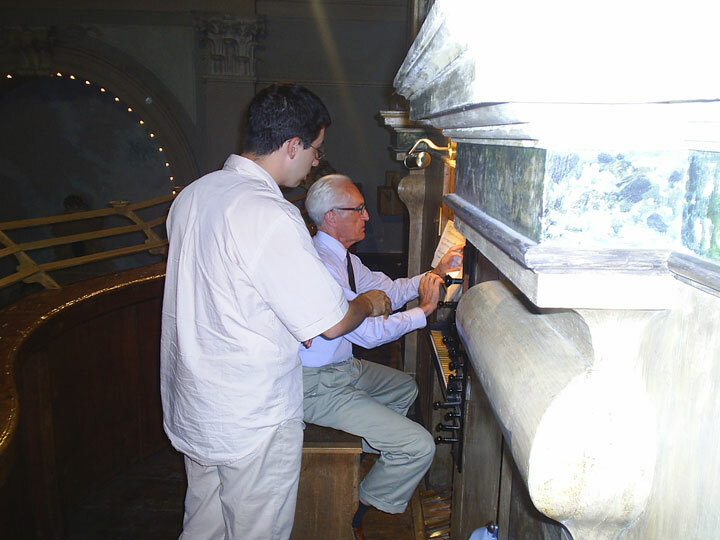 Lovreč – the only instrument built by famous organ builder Petar Nakić in the Croatian part of Istria, newly acquired organ in the Cathedral of Pula, permanent care for the instruments used at festival recitals and competitions…) although this is still far from the ideal systematic care that we crave for since the very beginning of our activity. With the realisation of our project, Istria, a region of abundant multicultural history and exceptional natural beauties, an area directed towards cultural and tourism development, has gained another precious jewel fot its rich cultural-tourist offer promoting visits to the Istrian hinterland outside the high tourist season. 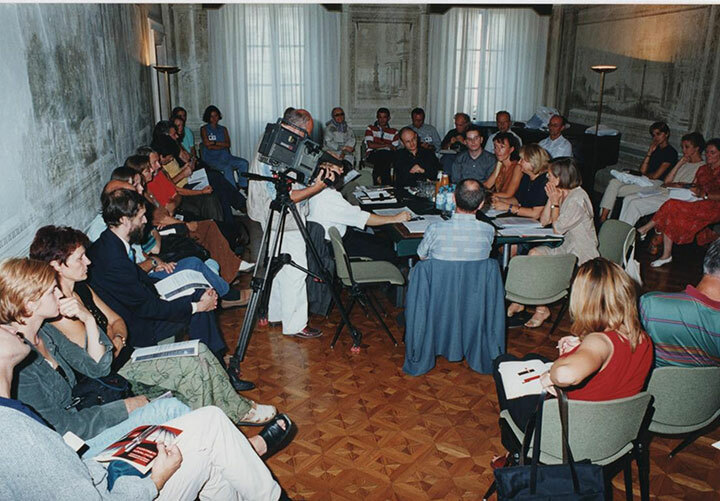 In the period 2008.-2011. the project Organum Histriae is managed by the company Identitet d.o.o. from Pula; starting with the year 2012. Lifestyle will take charge of the executive production of the project. Several key preconditions induced the coproduction team to organize the music festivities, despite the times of crisis and uncertainty. As a young town of highly educated inhabitants, Zaprešić needs a quality music festival that will ennoble the brilliant but insufficiently used premises in the town near Zagreb, the Croatian capital, and the European Union. The unique baroque castle and park Marijin dvor Lužnica (Mary’s Court Lužnica) is a precious pearl which the Sisters of Mercy managed to save and wish to continue saving, putting it in a new way into the service of the contemporary man. The 1st International Music Festivities “Spring on Sundays at Lužnica A.D. 2010” are a music fairy tale immersed into the natural and spiritual heritage that hosted superb international and domestic musicians connected with the same passion and need for deep communication with the audience through artistic performance. Over a thousand visitors of the concert had the chance to know the value of the magnificent beauty of Mary’s Court Lužnica. The media echoes have proven that the expert public also recognized the vision and concept of the festivities, thus valorizing the decision on starting the project, which is the result of the synergy and vision, persistence and intuition of its founders – not accidentally all women: Višnja Golački, headmaster of the Zaprešić People Open University, Vedrana Koceić, manager of Lifestyle Ltd., and sister Miroslava Bradica, director of the Spiritual Educational Center Mary’s Court Lužnica. On May 23, 2010 the renowned violinist Stefan Milenkovich and the gituar and lute player Edin Karamazov exclusively presented their first common music project based on the musical tradition of the most original authors of the twentieth century to the audience of the festivities. On Sunday, June 6, 2010 the mezzosoprano Blanka Tkalčić and baritone Ronald Braus accompanied by the piano player Mario Čopor performed “From Baroque to Rock” programme on the open air stage, while on June 13, 2010 the Zaprešić audience, before all other Croatian cities, had the opportunity to hear the concert performance of the love and friendship album “Oblivion” by the Macedonian diva Kalipi and Edin Karamazov on the guitar and lute. The music festivities were closed on Sunday, June 20 with the fourth concert – “Baroque in new attire” – by the Tuba Quartet “XL” with the trumpet soloists Marin Zokić and Mladen Đorđević. Due to bad weather conditions, this has been the only concert held in the state-room of the Lužnica Castle, whereas the first three concerts had been held in the park in front of the northern entrance, which has proven to be a newly found brilliant scenic setting. The audience prize „Count Čikulin“ under the patronage of Kaufland k.d. was named after the first owner of Mary’s Court Lužnica and was created with the purpose of awarding those artists whose performance mostly fitted into the unique ambiance of Lužnica – a space of spirituality, beauty and symbolism. The visual identity of the prize was created by the academic sculptor Irena Škrinjar, president of the Zaprešić Visual Artists Guild. This year’s highest average score on the visitors’ voting slips (4.9527) secured the audience prize “Count Čikulin” to the Macedonian diva singer Kaliopi and the renowned guitar and lute player Edin Karamazov for the highly praized “Oblivion”, in the performance of which guitar player Ema Stein and contrabassist Mario Ivelja took part as well. The International Music Festivities have proven to be an excellent way of ennobling the spiritual and historical heritage. The project should be developed, both organisationally and programmatically as well as in the sense of developing culture tourism, especially towards the citizens in the area of Zagreb, which have been visiting the festivities at a high percentage this year. 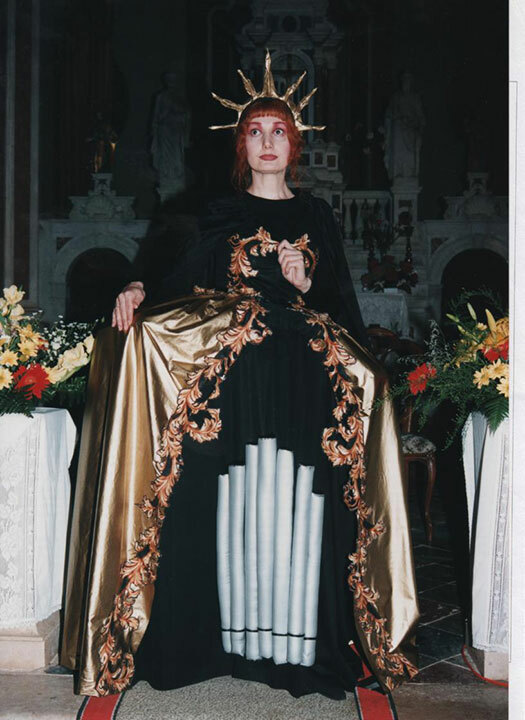 The pillar backbone of the program remains unchanged: top class international and domestic musicians and ensembles, who – through their selection and interpretation of the program and their communication with the audience – highlight the historical, architectural, spiritual and aesthetic components of the baroque castle and park and as such fit into the mission and vision of the Spiritual Educational Centre Mary’s Court Lužnica. By developing an international and cross-border cooperation we will develop the vision of presenting renowned artists and ensembles with the goal of accentuating and ennobling the resources and potential of Lužnica. The music festivities will be rescheduled in 2011 and be held on July 8-10, since the Spiritual Educational Center Mary’s Court Lužnica will mark the 250- anniversary of the consacration of the manor count chapel. The concerts of the International Music Festivities are supposed to additionally highlight the importance of this anniversary and to bid welcome to all guests. So, goodbye until the 2nd edition of the International Music Festivities “Lužnica at summer nights sunset A.D. 2011”.